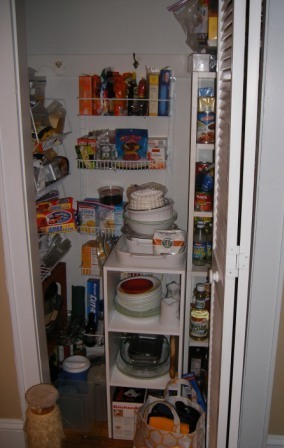 Do you remember the Pantry Plan from the summer? You know, the plan where I didn't buy groceries with the exception of perishables like milk, half and half, etc. and lived off the contents of my pantry, my garden and the farmer's market for the entire summer. At the end of the summer, I had spent less than $80.00 the whole summer on groceries! Well, starting today, we're going to be on the winter version of the Pantry Plan but with a few twists that I will reveal over the next few days. Let's just say that this version of the pantry plan will help not only trim down the grocery bill that has frankly gotten out of control again, but will also help in the health department too. I'm also going to help the budget in these difficult economic times by referring to a few cookbooks in my collection that specialize in economical cooking, starting with the return of my version of Wartime Wednesdays. Wartime Wednesdays is a repeating theme on my good friend Stephanie's food blog, Dispensing Happiness, where she cooks a recipe from the 1944 Victory Binding of the American Woman Cookbook. We both have that cookbook and a few months ago I stole her idea as part of the Pantry Plan and have cooked several recipes from the cookbook to great success. I love the idea of using my old cookbooks to help me make the most of my pantry. Like many people I know I have a huge collection of old cookbooks that frankly it is a shame to not put to good use. After all, recipes from thirty years ago can be just as tasty as the recipes in my copy of Gourmet magazine from thirty days ago. 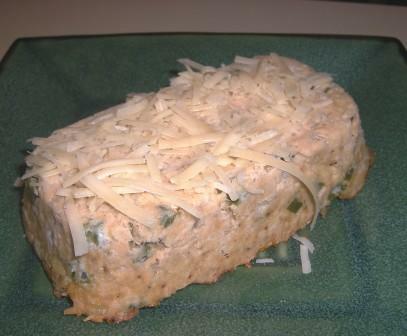 Tonight, I made the most of my pantry by making the Salmon Loaf found on page 202, right under a delightful recipe called Salmon Wiggle, using a small can of skinless boneless salmon. I admit, I added a few things not found in the recipe to take advantage of some left over onion, green pepper, shredded parmesan cheese from the New Years Eve goodies I made and two egg whites left over from some baking I can't tell you about right now. The recipe was easy to make and along with a small salad of spinach and two pieces of garlic bread made from the last of a baguette I baked over the weekend, made a quick, light and delicious dinner. Best of all there is enough left over to take to lunch tomorrow! 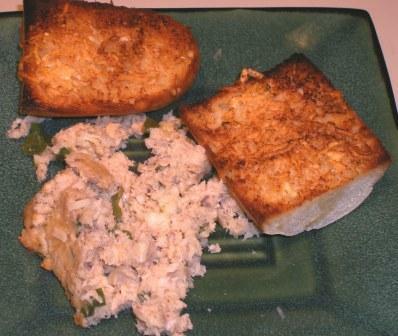 1 Tbsp grated Parmesan cheese (for topping salmon loaf after removed from oven. Drain and flake can of salmon in medium bowl. Combine remaining ingredients and press into prepared mini loaf pan. Bake for 35 minutes. Flip loaf out of pan onto medium sized plate and top with Parmesan cheese.